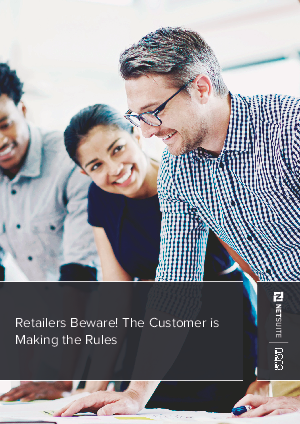 A recent study by Frost & Sullivan revealed that although attracting and retaining customers is the leading challenge that Australian retailers face today, 42 percent of retailers do not have a customer experience management strategy in place (this is even more common for small retailers at 51 percent). The same technologies that consumers carry around in their pockets and purses that allow retailers to connect with them, also empower unsatisfied customers to share their negative experiences and turn to global competitors instead. This poses a real challenge for modern retailers. The way that customers communicate, socialise and connect to brands has undergone a seismic shift and there is no going back. NetSuite and the National Online Retailers Association (NORA) recently gathered some of Australia’s leading retail leaders to examine the strategies that enable retailers to deliver a seamless brand experience across all channels and boost their bottom line. Download this report to learn more.